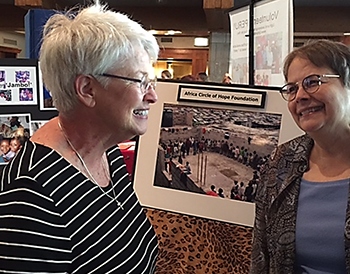 Sally Christiansen and Patricia K. Felkins Ph.D. will represent Africa Circle of Hope at the event with a photo display and information materials about our Orphans Education Programs including secondary school scholarships, university scholarships and Career Bridge scholarships at professional training institutes. 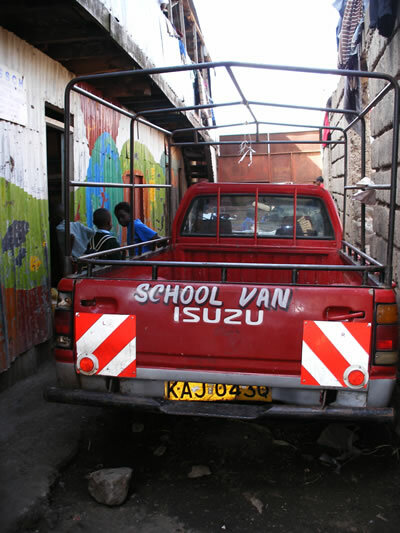 Africa Circle of Hope is honored to be a mission partner and committed to our ongoing effort to provide education opportunities and learning resources to orphaned and abandoned children living in poverty in urban slums and rural areas in Kenya. It is Sunday morning at Mwanika Church just outside of Meru town, Kenya. The English Service starts at 9:30 am with music from the keyboard player who is wearing a red jacket and singing with a rich bass voice in the side section at the front of the church. He plays by ear and once he has the beat the music fills the room. At the beginning of the service the sanctuary is about half full but as the music sounds a call to worship the church is soon filled with several hundred people. One hundred or more of these worshipers are students from Fred`s Academy, a nearby primary boarding school. The boys and girls are in their green-checked shirts and grey slacks. Girls wearing slacks to church is a recent change. Some of the young people have dark green sweaters and others wear similar vests. They file in and sit together occupying much of the front section. The founder of the primary school sits quietly in the pew behind them. There are open widows on each side of the sanctuary. The gentle wind blows through the space between and sweeps across the congregation as the service begins. Soon the entire room is alive with music and movement. It is impossible to stand still and I am swaying and clapping with the assembled congregation. It is a powerful energy filled with the emotion of strong faith and joyful praise. The people express humility as they sing the chorus "Tossing crowns, raising hands, bowing hearts." The words of the songs and scripture verses are projected above our heads on the wall in front of the altar. The system is operated by three high school boys sitting behind a computer and getting the right screen up just a little late. The English service is also an opportunity for the students from Fred`s Academy to participate not only in reading the scripture and taking up the offering, but also providing some wonderful music and performances. Their songs are carefully choreographed as they step and spin and clap and raise their hands in praise. They dance together led by one of their teachers. By the time the primary school students sing the second verse they are full of the spirit and their young faces are glowing with love and faith. Next, the church choir sings and again as the keyboard player gets the rhythm everyone is moving and clapping, shifting bodies from one foot to the other. I also feel the energy of the loud and glorious music and dive into the moving waves of the congregation, young and old, flowing from side to side. This is both an individual activity and a shared community worship experience. Some of the church members are wearing red, the color for Pentecost, "the birthday of the church" and a celebration of the gift of the Holy Spirit. The preacher talks about empowerment and "worship as a lifestyle." This means appreciating and expressing gratitude for the beauty of the world, praying for those in need, and sharing faith and grace with others. Because the English Service had communion, they have gone long and are late in finishing. The pastor`s words are heard outside the church by the crowd, which is waiting for the 11 am Kimeru Service conducted in the local language. This church is a dynamic community of faith bringing neighbors together and welcoming strangers. I was surprised when I realized as we were leaving the service that I was the only muzungu, white person, in the entire congregation on this Sunday. I had not even thought about it. Many times over the past 10 years I have attended Mwanika Church. I am no longer a visitor. We are all brothers and sisters in friendship and faith. 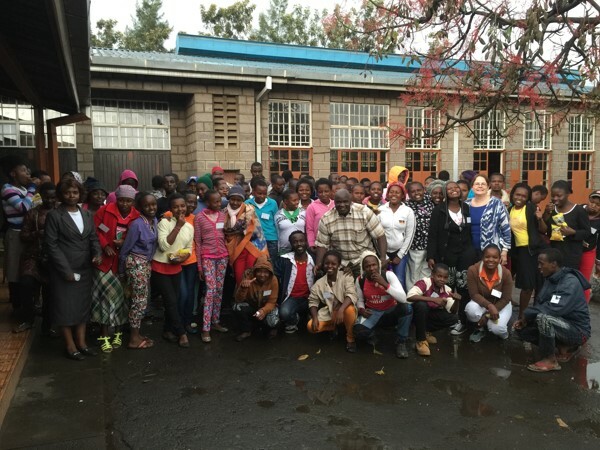 ACOHF launched Kids Camps in Meru at the Thiiri Center for Culture, Music and Community Development and funded the first year of operation reaching more than 200 kids between the ages of 11 and 15 years. The program is continuing with the support of Thiiri Center and local churches and schools. The Day Camps include computer training, music lessons, cultural knowledge, sports and crafts. Local elders and community leaders also talk with the young people about culture, values and responsibilities. Program objectives include building self-esteem and confidence related to life decisions, and encouraging critical thinking and creative problem solving. Each Camp brings together a diverse group of 25 young people. This program fills some gaps that are not often covered in the highly structured national school curriculum. Individual students are sponsored by local churches and schools. The participants of all the camps are invited to other special youth events at Thiiri including movies, performances, and discussion groups about issues that concern young people and affect their future. 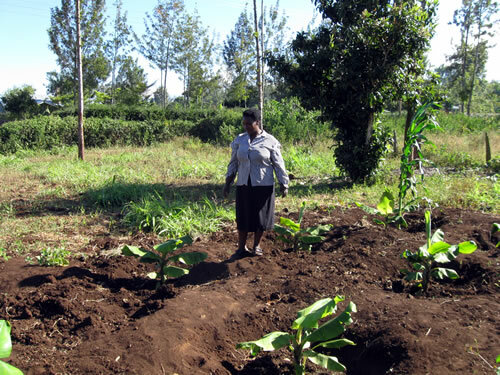 Current projects for women and children in Nairobi and Meru continue to develop as sustainable programs that benefit individuals, groups and communities. 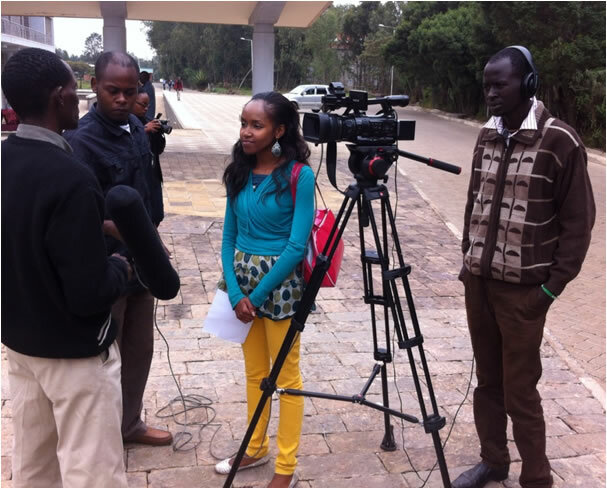 We now have programs in both Kenya and Tanzania. and Day Camps for underserved rural youth including personal and career development, computer skills, and music. �You have given us hope,� the women said. Thanks to all our generous donors who have given many women, children, and families in East Africa new hope for a better life and a brighter future in 2009. It was an exciting day when the new Community Technology Center (CTC) was launched in Maua Tanzania. The space for the facility was donated by the Franciscan Sisters Capuchin and they will manage the Center to serve the local community and area schools. Many of the sisters helped with carrying the equipment, tables and chairs and organizing the computer room. A group of women from local villages came to see the new computer center, the hub of activity and interest for everyone. This CTC will be a valuable educational and communication resource as the only facility of its kind in this remote rural area. Two Africa Circle of Hope Board Members, Marilyn Makandi Brenchley and Kay Felkins, traveled to a rugged area on the slopes of Mt. 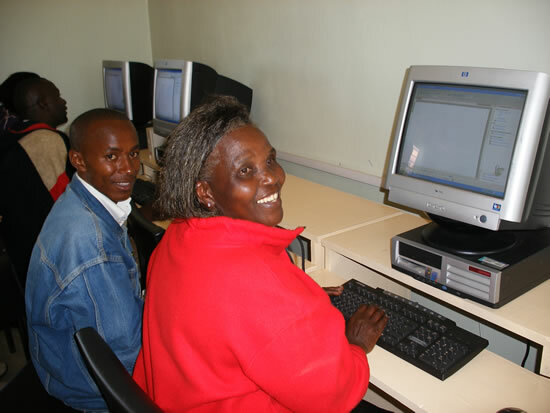 Kilimanjaro in October 2010 to launch the Community Technology Center. Benjamin Makai from Computer Aid International installed the initial setup and trained the staff. Two of the sisters are taking additional computer courses so they can supervise the Center and train others. ACOHF will continue to help develop the Center to meet local needs. 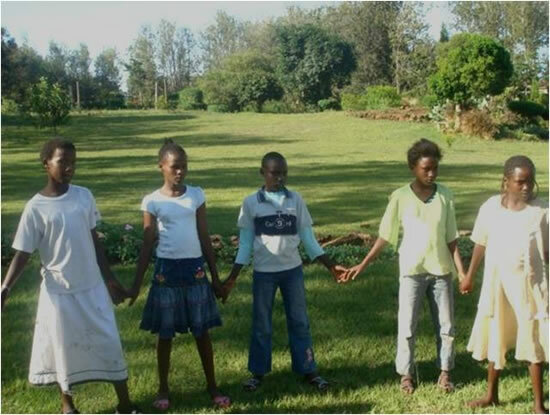 A group of 30 friends, colleagues and families came together in August 2010 to launch the Albuquerque Circle of Hope to help support our educational fund for children orphaned by AIDS in Kenya. Dr. Kay Felkins, Vice President of ACOHF, made a presentation about the foundation and provided updates on current educational programs and critical needs. All the donations from this event will buy uniforms and pay school fees for secondary school students from the Good Samaritan Children�s Home in the Mathare slums around Nairobi, Kenya. The coordinators for the Albuquerque Circle of Hope are Janet Strong and the Wickstrom family. We thank them for their commitment to helping educate these orphans and giving youth an opportunity to raise themselves out of poverty and make a better future. They will continue to work with us to support our Orphans Education Fund and coordinate efforts in Albuquerque. We are establishing Africa Circle of Hope support groups in other states including Wisconsin and Arkansas. If you are interested in creating a Circle of Hope in your community contact Dr. Felkins at pkf@africacircleofhope.org. 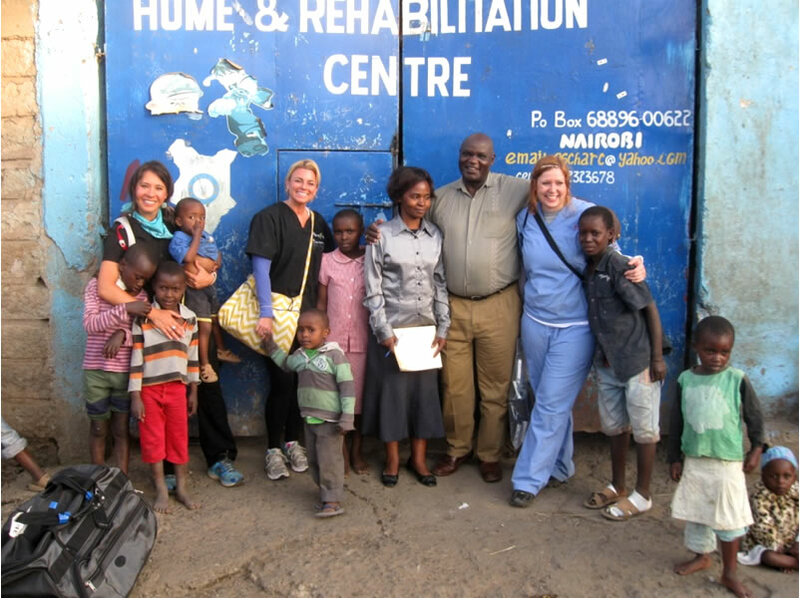 ACOHF Board Vice President, Dr. Kay Felkins, was awarded a research leave from September through November 2010 to study HIV and AIDS public health communication campaigns in Kenya. Felkins is a professor in the School of Communication at Loyola University Chicago. She interviewed senior executives in the Kenya National AIDS Control Council as well as local and regional directors in other AIDS education and outreach organizations and programs. Felkins also began working with a group of talented young musicians, poets, actors and artists who have been active in AIDS education performances. 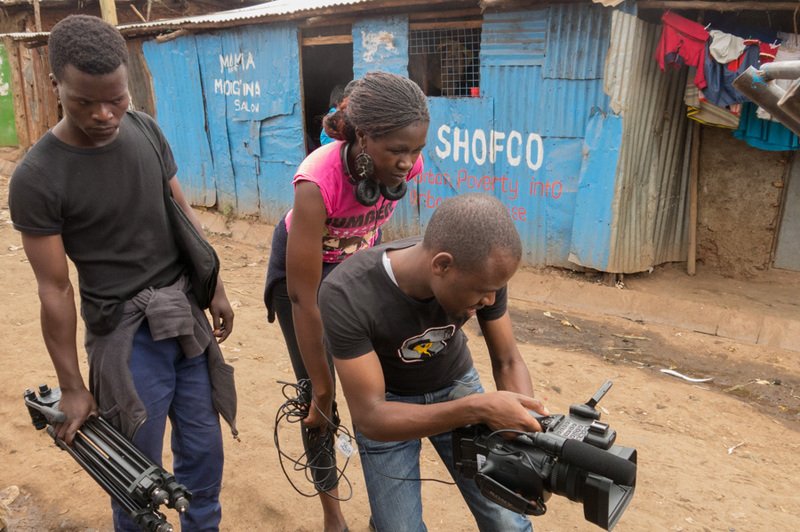 One of the members of this group is Pepe Haze, who plays a central role in an MTV award-winning television drama series, Shuga, about the lives of a group of students living in Nairobi and the dangers of HIV and AIDS. Another of these dynamic professionals is Kennet B, a popular spoken-word poet who writes and performs powerful stories about HIV and AIDS to educate young people. 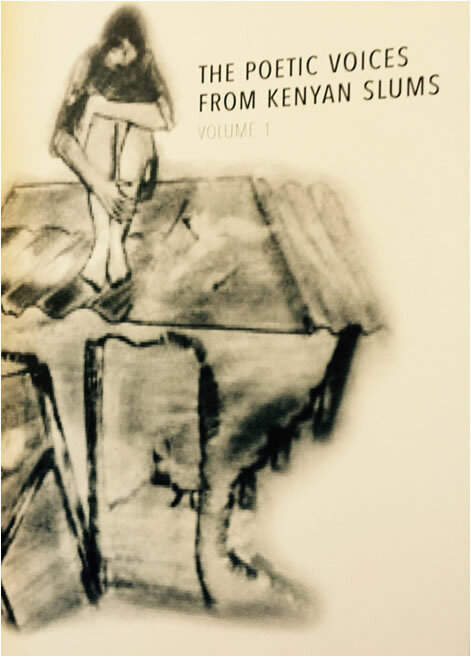 This artistic team provides valuable insight and understanding of the impact of HIV and AIDS in Kenya and the language and perspectives of youth in relation to AIDS. The results of this research can help to improve the effectiveness of national, regional and local HIV and AIDS campaigns to engage youth in Kenya. 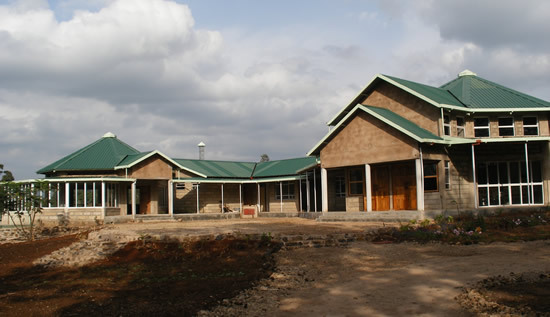 On Oct. 30, 2010, the Thiiri Center for Culture, Music and Community Development in Meru hosted the first of an ongoing series of concerts. This series showcases the talents of local young people in music, poetry, dance and drama. Area students, parents and community members filled the auditorium at Thiiri Center to enjoy a Saturday afternoon program that included singers, poets, dancers, acrobats, musical rap groups and a high school band. This initial concert also featured several professional performers from Nairobi including the Drum Caf�, Kennet B and the Mathare Acrobats. ACOHF was a major sponsor of the first concert working with Rev. Marilyn Makandi Brenchly, ACOHF Board Member in Meru. Thiiri Center is a strong partner with ACOHF and a platform for some of our most successful programs for young people. 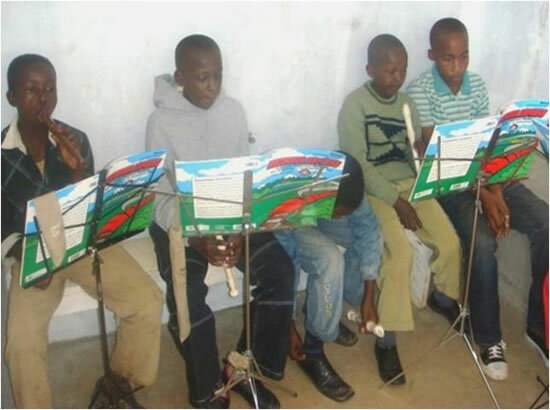 Local artists come together at Thiiri Center for music lessons, practice sessions and creative dialogue. The concert series will continue through 2011. 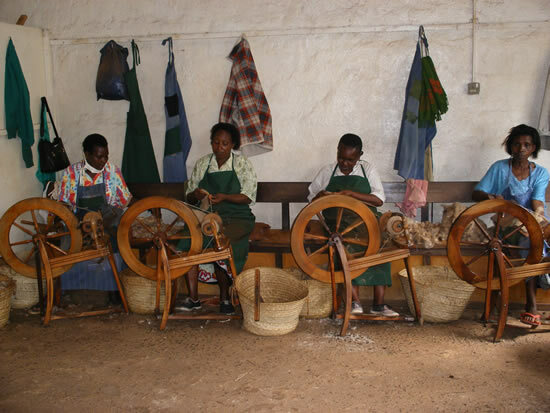 Colorful rugs, unique tie-dyed fabrics, tablecloths and aprons, multicolored wool baskets and jewelry with distinctive African design-these are some of the products made by women`s entrepreneurship groups in Nairobi and Meru, Kenya. 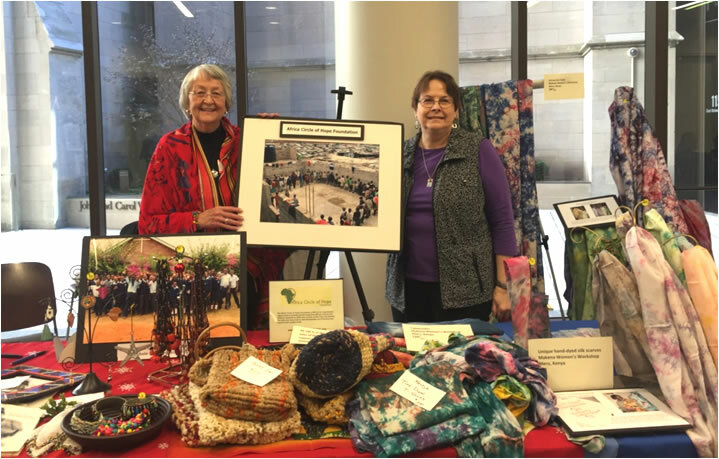 The Annual Fair Trade Bazaar the first weekend in December at the Fourth Presbyterian Church in Chicago provides an opportunity for ACOHF to market these materials and share the story of these creative and industrious women struggling with poverty. All the proceeds from sales go directly to the women to support their small business initiatives and the families of the workers. 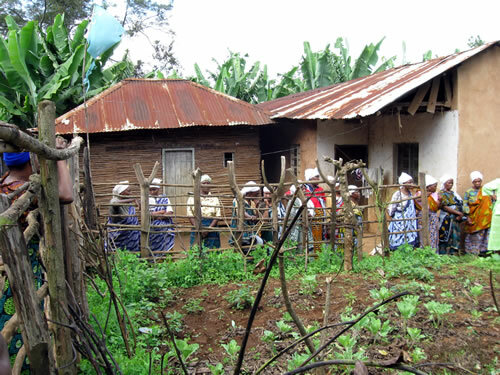 This additional income helps these women in rural areas or urban slums to feed their children and pay school fees. It also brings some small joy. As one of the women said, �This year we will have a Christmas.� The previous year had not been a good one for these women. Their sales were limited and they were not able to pay any salary to the members who worked every day weaving and sewing. 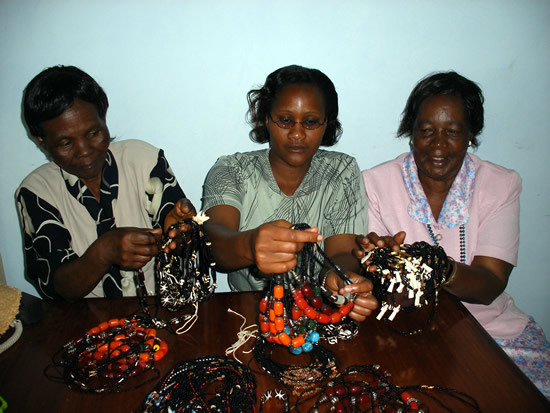 Africa Circle of Hope Foundation continues to collaborate with these women to help them market their unique artistic products. Thanks to ACOHF Board Member Clarisse Croteau-Chonka and friends of ACOHF for their assistance with this successful event. You and your friends can send children orphaned by AIDS to school or help a group of women living in poverty start a small business. Establish a Circle of Hope in your neighborhood, church, office or club. The Africa Circle of Hope Foundation was created around the basic concept of people helping people, kids helping kids, women helping women. A small group of people who want a better world can make a big difference in the life of African children orphaned by AIDS and women and families living in poverty. Our first Circle of Hope in Albuquerque, New Mexico, is built on the commitment and energy of a family working together and each bringing his or her own talents and friends into the circle. This includes the daughter in high school and the son, an accomplished musician and composer. We are also starting Circles of support in Wisconsin and in Arkansas. Start a Circle of Hope in your city or town. Believe that you can make a positive difference in the world. Identify a group of family, friends, colleagues or neighbors and ask them to join the Circle. Your Circle could be only three people or more than 30. Define an ACOHF program area you want to support. 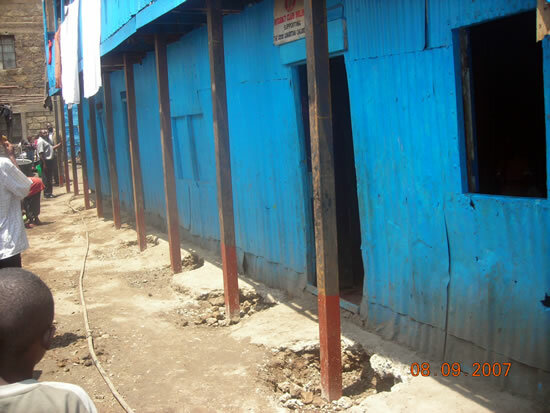 This may be Orphans Education, ACOHF Scholarships, Women�s Entrepreneurship or Community Technology. Bring people together in your home, an organization meeting room or a local restaurant. Invite an ACOHF board member or volunteer to come to this meeting and discuss the foundation and current programs and needs. If we cannot attend we will work with you and send a packet of presentation materials and information sheets for your use. Ask your group for support. Financial contributions can be any amount based on the interests and ability of the group members. Your group may also have other creative fundraising ideas. Communicate regularly with your Circle of Hope and with an ACOHF board contact. Ask for ACOHF updates and photos. Contribute content to our Web site. We want to build long-term relationships. We believe in you and we need your help. Be part of our global Circle of Hope. For more information, contact pkf@africacircleofhope.org. Members of the Good Samaritan Mother's Group from the Mathare slums in Nairobi received certificates of completion on June 6. Over the past year, the 38 women participated in monthly Entrepreneurship training days at Catholic University of Eastern Africa (CUEA). The Dean of the Faculty of Commerce and other faculty facilitated the Entrepreneurship sessions, which focused on business operations, budgets,communication, marketing and customer service. The women celebrated their accomplishment with family and friends at the campus. More than 200 people attended the graduation ceremony led by the Vice Chancellor of CUEA. The youth from Good Samaritan Children's Home entertained guests with music, dancing and acrobatics. Everyone enjoyed lunch and a special cake for the graduates. As the women said, "We can be a model for others." 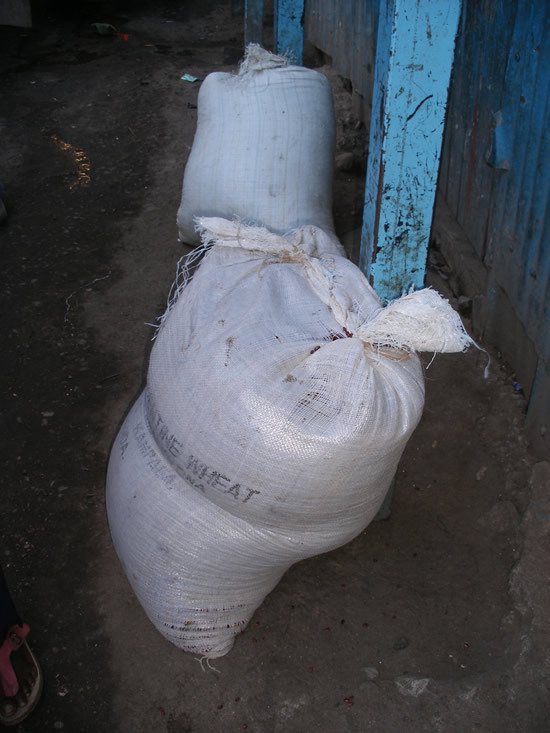 "We can work together to improve the quality of life in Mathare." Our thanks to Catholic University of Eastern Africa for partnering with Africa Circle of Hope on this significant initiative to educate and empower underserved women.